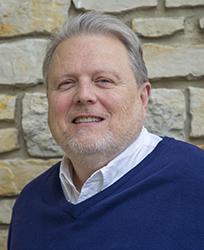 (Feb. 6, 2019) — Larry C. Larson of Naperville has been appointed to the board of directors of the Friends of the Forest Preserve District of DuPage County, the District’s 501(c)(3) nonprofit support group. Larson has been active as a Friends donor and volunteer since 2013. He contributed to the Friends’ matching challenge as part of a Giving Tuesday campaign in November 2018, which raised $12,910 for the Friends. “I was inspired to join the Friends by my passion for nature, and my appreciation for the ready access to the ‘healing powers of nature’ provided in the forest preserves of DuPage County,” Larson said. Larson is retired from College of DuPage, where he was a supervisor in library computer resources and printing services as well as an adjunct instructor in graphic arts technology and desktop publishing. He was a board member of the College of DuPage Classified Personnel Association and College of DuPage Annuitants Association, where he also served as communications committee chair. Larson has also served as a volunteer with WFMT 98.7FM, assisting with membership drives and participating in a matching challenge. On the Friends board, Larson will serve on the marketing committee, using his information technology, graphic arts and photography background. The Friends advances the vision of the Forest Preserve District through philanthropic endeavors. Details on the Friends, including gift-giving options and the Ambassadors Circle, can be found at dupageforest.org/friends. For more information about the Friends, contact the Fundraising & Development office at 630-933-7097 or fundraising@dupageforest.org.